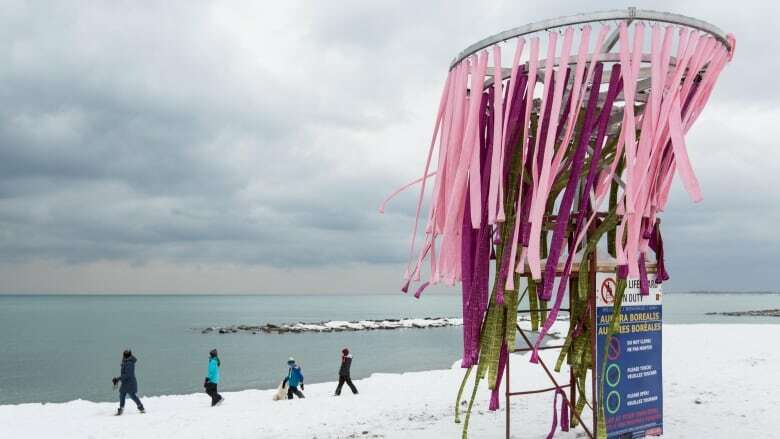 Winning entries from artists and designers in an international design contest opened this week on the wintry and windswept Beach waterfront of east Toronto. 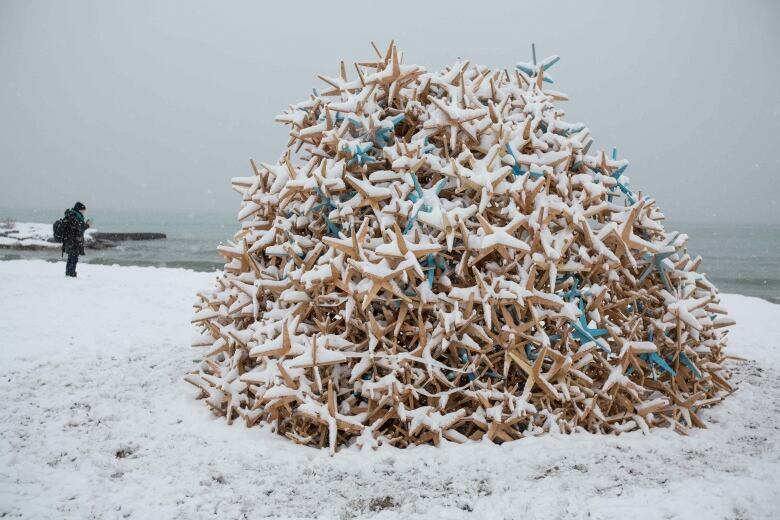 The Winter Stations, as they're called, bring some colour, warmth and whimsy to the frozen beachfront. 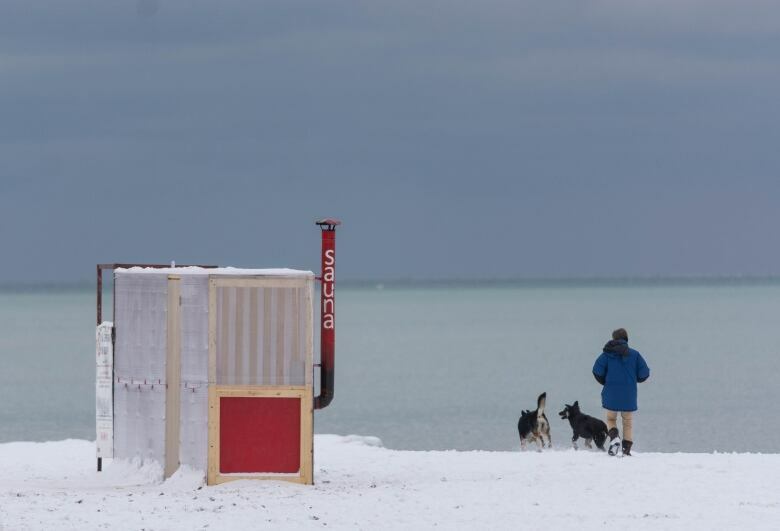 All of the installations have been designed around the existing lifeguard towers, this year under a theme of "freeze/thaw." 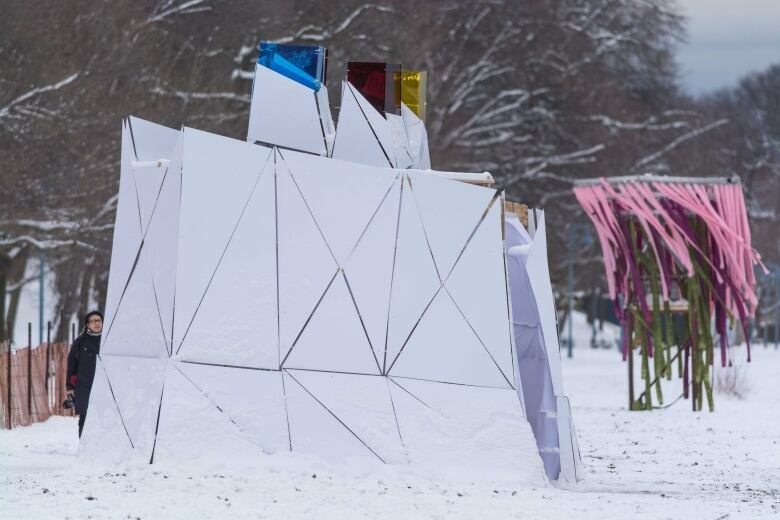 At top is the installation titled Aurora Borealis, created by Sudbury's Laurentian University team. It makes use of LED lighting, welded aluminum and colourful sewn fabric in a structure that spins like a carousel. 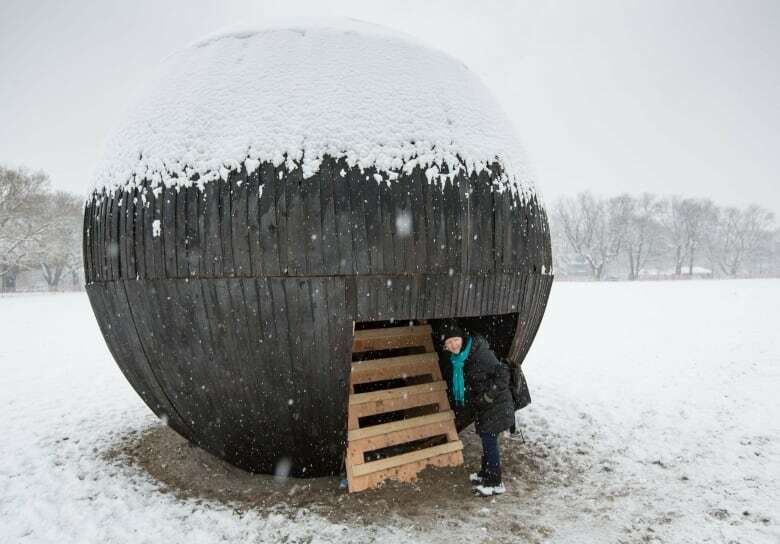 (Bruce Reeve/CBC) In the Belly of a Bear, a mysterious wooden orb created by Caitlind r.c. Brown, Wayne Garrett and Lane Shordee of Calgary, has a cozy upholstered interior visitors can climb into. (Bruce Reeve/CBC) Remi Carreiro, Aris Peci and associate professor Vincent Hui from Ryerson University's faculty of engineering and architectural sciences created this structure of translucent panels they call Lithoform. 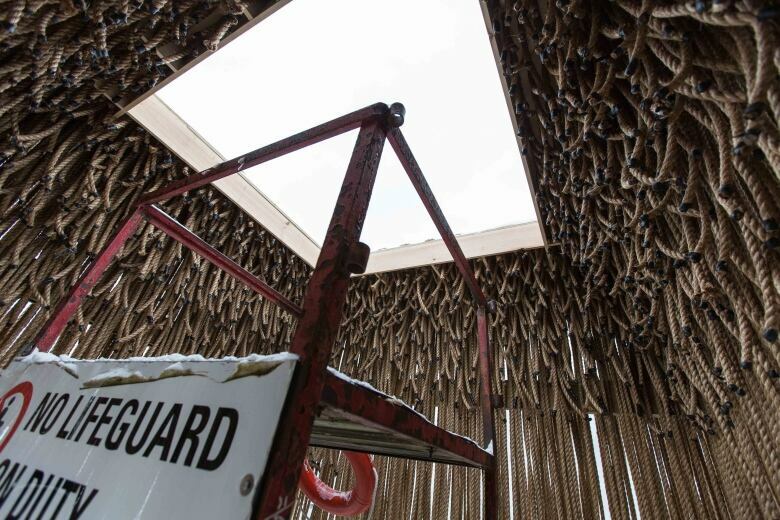 (Bruce Reeve/CBC) Floating Ropes, by Elodie Doukhan and Nicolas Mussche of MUDO in Montreal, has a strong smell of hemp, but feels surprisingly cozy inside, where you can sit in the lifeguard's chair and peer through the swinging strands or up through the skylight. 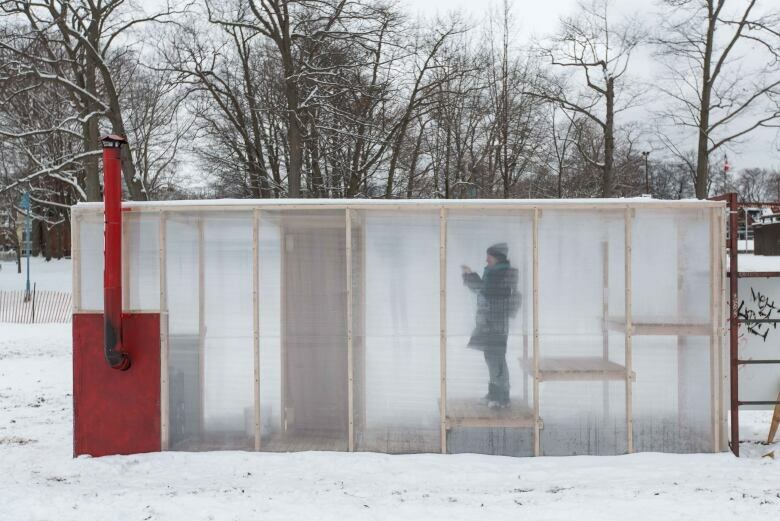 (Bruce Reeve/CBC) Sauna by Claire Furnley and James Fox of FFLO in Kent, U.K., is exactly what the name suggests. A wood stove inside provides the heat for the transparent structure with tiered seating. Solar-powered lights provide a nighttime glow. 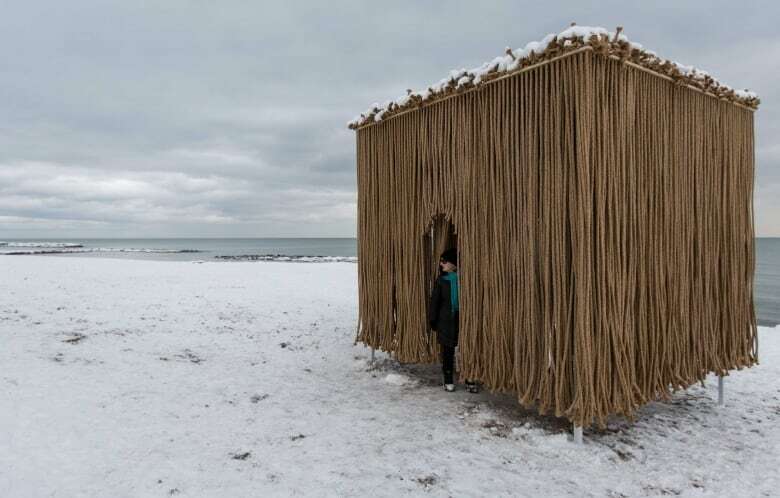 (Bruce Reeve/CBC) Toronto's Team Secret, Calvin Fung and Victor Huynh, are the creators of Flow, an ice crystalline-like structure configured from wood components that can be assembled into various organic shapes. 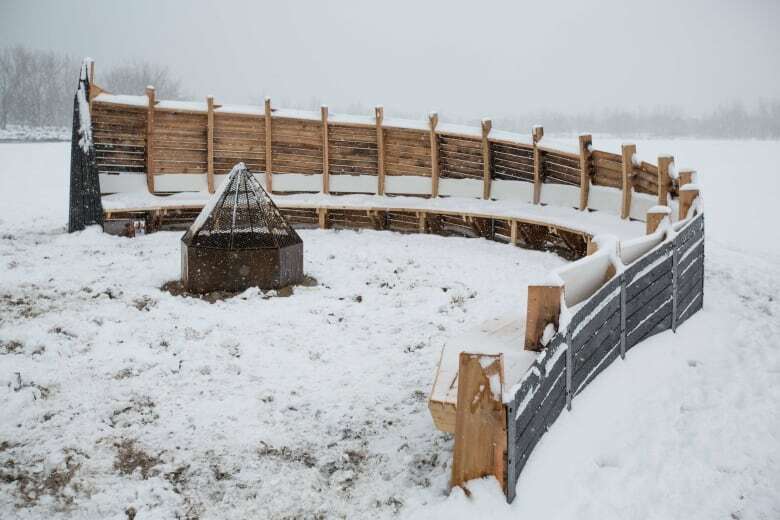 (Bruce Reeve/CBC) OCAD University's team created the Steam Canoe, a wooden structure that resembles part of an inverted canoe. 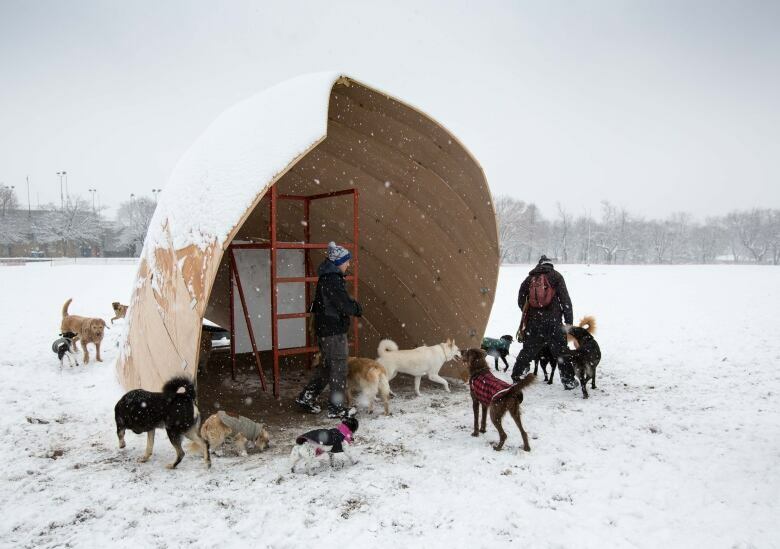 Solar tubes on the roof are designed to turn snow into steamy vapour. The project team includes Curtis Ho, Jungyun Lee, Monifa Onca Charles, Reila Park, Hamid Shahi, Lambert St‐Cyr, Jaewon Kim, Jason Wong and Mark Tholen, assistant professor, faculty of environmental design. 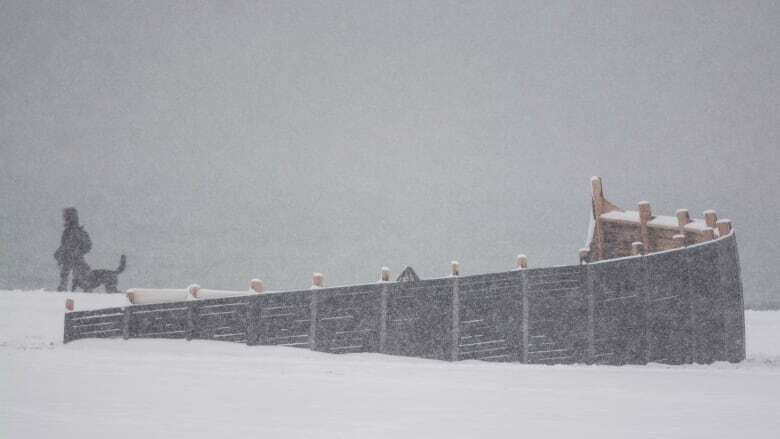 (Bruce Reeve/CBC) Although he was not part of the competition, famed Canadian architect Douglas Cardinal designed this fire pit bordered by a charred wood structure resembling a shipwreck partially buried in the snow-covered beach. 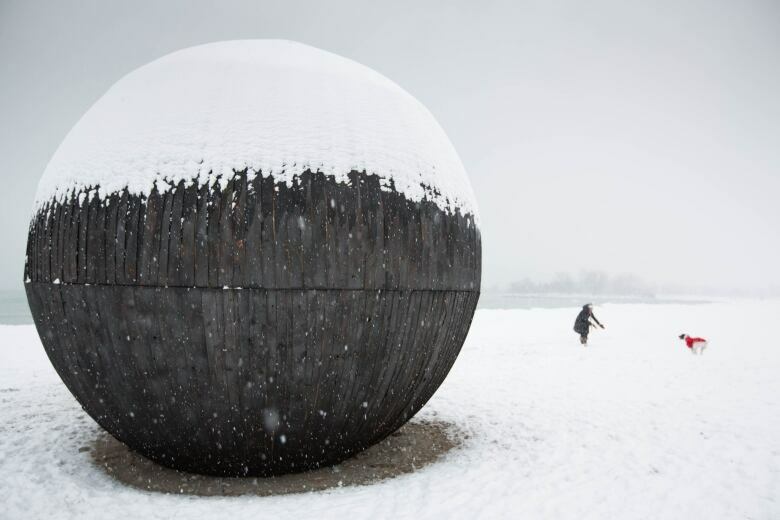 The Winter Installations exhibit continues until March 20.